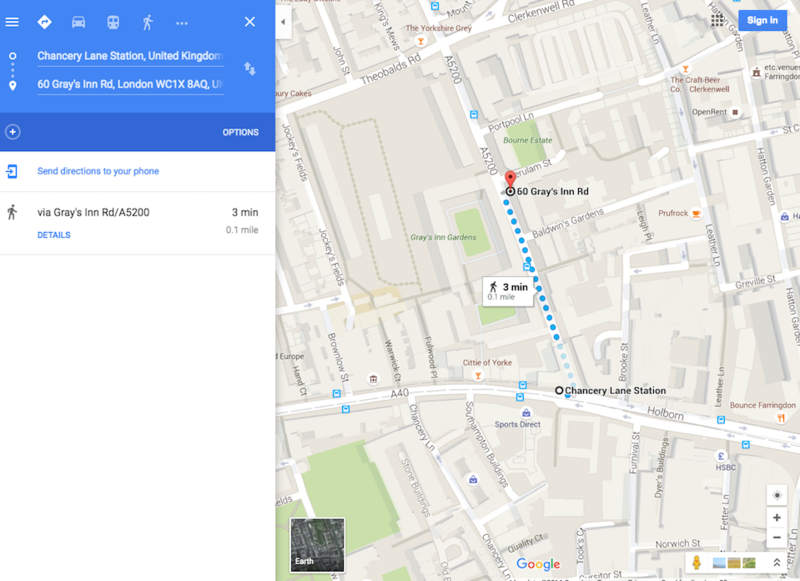 Directions: We're 3 minutes' walk from Chancery Lane underground station. Take Exit 1 from the station and turn right after coming out; Grays Inn Road is on your right. Tax Partners is the trading name of Tax Partners Ltd, a firm of Chartered Certified Accountants regulated by the Association of Chartered Certified Accountants. Tax Partners Ltd is registered in England & Wales as a company (No 06623956) with registered office at 66B Sydney Road, Watford, Hertfordshire, England WD18 7QX.